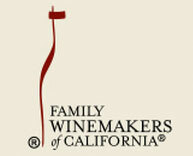 You may taste and then buy wine from the participating wineries to take home. Saturday, August 17: Trade 1 - 6 pm, General admission Consumers 3 - 6 pm. Limited offer Consumer 1 - 6 pm. Tickets are $70.00 at the door. Your ticket includes: Unlimited access to 250+ wineries from 20+ California appellations pouring over 35 varietals and 800 different wines; commemorative wine glass; a great variety of cheeses and crackers; on site food vendor. Wine orders may be placed at this tasting, to be shipped from the winery. Many wineries will be offering special pricing on shipping and/or select wines. We will also have "Taste and Take" availability for consumers to purchase their favorites at the event to take home with them. One thread weaves through this tasting -- an ethic of craftsmanship to bring you the best wines -- "From Our Table to Yours". For Bay Area wine fans this tasting is about the breadth of wineries from across the state, an enormous range of varietals, and wine growing appellations from all over the state. 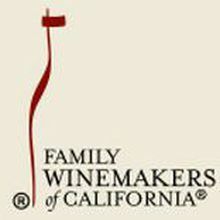 All Family Winemakers tastings focus on wineries that are small (under 5000 cases), have limited marketing outreach, and will be represented by family members. Over 25 wineries in this year's tasting will be pouring with us for the first time, giving you a taste of the new kids on the block. You can sample new releases from your classic favorites and from wineries just selling their first vintages. Check out varietals you've never heard of or your best-loved Cabs and Chardonnays. This well-respected tasting is a once-a-year opportunity to tour and taste California's wine country under one place.